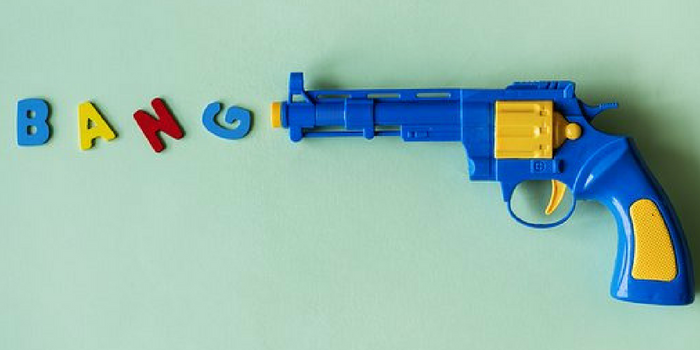 Is it right to allow our Children To Play With Toy Guns? Read the full article to know about it. Recently in the press, there was total uproar over the fact that the Duchess Of Cambridge Kate Middleton had allowed her son, Prince George, to play with toy guns while her husband Prince William played in a Charity Polo Match. People actually reacted quite angrily to the photos of Prince George innocently playing with a toy gun with his cousin and felt that given the number of tragedies related to gun violence involving young children, this was not acceptable behavior from any member of the Royal Family. But are we going a yard too far in assuming that children who play with toy guns in their childhood will actually turn into cold-blooded killers! Do we honestly believe that! The photosof the Duchess and her children received worldwide attention, especially across all forms of online media, and a lot of people were extremely quick to judge the Duchess as a bad parent, frowning on her perceived poor judgement in allowing her young son to have fun with the toy pistol. But is this really bad parenting? Do we seriously believe that allowing the young Prince to play with a toy gun will somehow mold him into a ‘killer’ in several years time? How many of us grew up playing with toys guns and all kinds of other toy weapons, pretending to be cowboys and indians, sherrifs, robin hood and more? As adults now, do we think our parents should be admonished because they allowed us to play with such toys? The answer is no, it’s ridiculous to try to draw a comparison between a young child playing with toy guns and a teenager who has grown up around real guns ,and for whatever reason, chooses to turn to violence to kill or injure several people. Playing with toy guns is not bad parenting in any shape or form. It’s allowing your children the opportunity to be children, to engage in imaginative play and have fun. Are All Toys Guns Safe To Play With? There’s a massive varity of toy guns available for you to purchase for your children, all different shapes and sizes, some with ammo and some without, and some mimic real weapons but most don’t. As with any toy you’d buy for your child, make sure firstly that it’s age appropriate, and secondly, if it does use ammo of any kind, make sure your child is wearing protective gear, especially goggles. Toy guns are not designed to actually hurt your child, but of course kids are kids, and sometimes their aim can be off and they can accidentally hit a sibling or friend in the face, eye or other sensitive area. That’s why it’s important to ensure your kids are kitted out with the right gear to keep them safe while playing. The most popular toy guns at present are undoubtedly the cool nerf guns for kids as they come in several variations, can shoot single and multiple ammo, and some of them can mimic ‘real’ guns. These particular styles of toy guns are extremely popular worldwide and kids just love them! Playing with these types of toys will not negatively affect your child, as they simply allow your kids to engage in all kinds of role playing and pretend play and fire up their imaginations. They encourage kids to play outdoors rather than spending all of their time indoors on electronic devices and gadgets. Toys guns have and always will be a part of a lot of children’s childhoods, giving them hours of entertaining and engaging fun play, while getting lots of healthy fresh air and exercise. Playing with these types of toys will not turn them into criminals, so if your child wants Santa to bring him or her a toy gun for Christmas, or they’d love one for their birthday, give them the toys they want, as they’ll outgrow them in time as they get older. The debate sparked innocently by the Duchess of Cambridge Kate Middleton is sure to raise it’s head again, but rest assured, that it’s a natural part of childhood for kids to want to play with toy guns and always will be. Why parenting can be child’s play.